The weather forecast turned out to be accurate and the following morning the sky was overcast and we could not even see the mountains up the valley. Every ten minutes or so there were strong showers, so we had breakfast and sat in the front terrace of the hotel to read a while, write a while and generally kill the time waiting for the weather to improve a bit so that we could at least ride to Vihren hut, 16km up the mountain, and see the lakes. By midday the rain finally gave us a break and we quickly got on the bike and rode up as some blue patches opened in the sky. We reached the hut through a beautiful mountain road and were surprised to find quite a lot of cars parked there despite the rain. 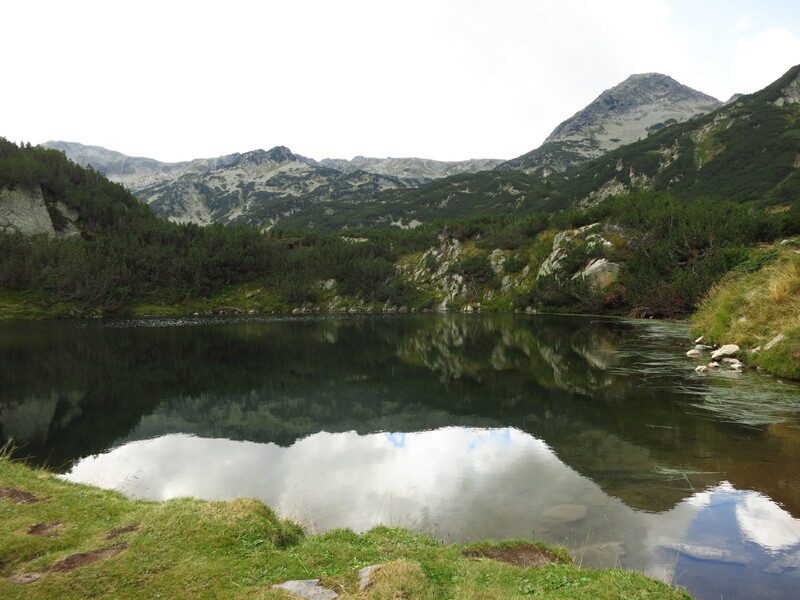 We started walking to see at least the first two lakes, which were an half an hour and an hour and a half away respectively; the mountains looked higher and with a sharper profile there, the park felt more serious than Rila. We reached the first lake, also called Otoko, which was rather small, and went on the second one with clouds closing in around us again. By the time the second lake was in sight we could hear thunder over the mountains, so we just took a couple of pictures and started heading back to the hut. The rain started before we had even reached the first lake, and we got soaked in five minutes. By the time we reached the hut it was pouring down and there was even some hail. I grabbed the motorbike suit and boots, which were dry, from the panniers and got changed quickly in the hut’s porch, in full view of everyone who had taken shelter there, to avoid getting pneumonia. When the rain finally stopped we got back to our hotel and called it a day, sad not to have seen more of the park. One thing gave us hope, though – the following day we were going to Sofia, which was only about 150km away, and we had seen signs by the hut saying that the climb to Vihren peak took three hours. The weather was supposed to improve, so we decided to wake up really early, see if the sky was clear, and then try to climb the peak before heading to Sofia. 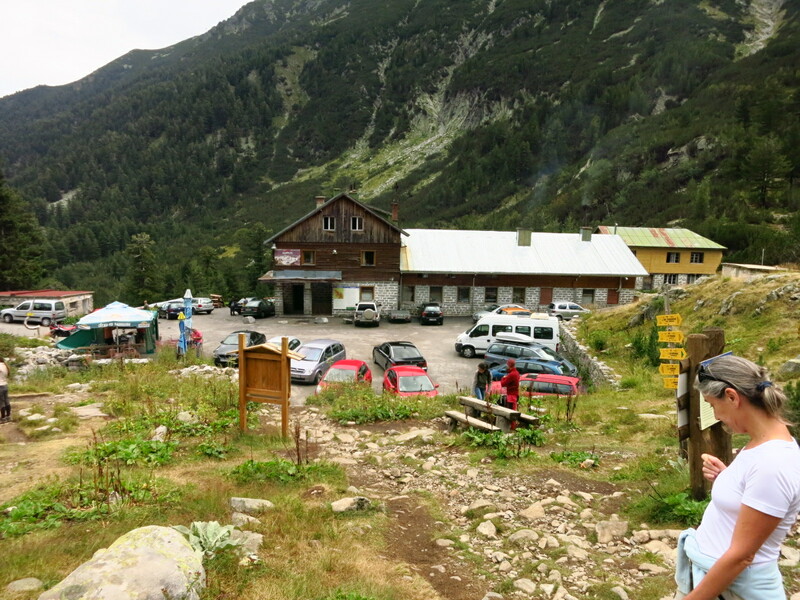 This entry was posted in Balkan Adventure 2016, Travel and tagged Bansko, Bulgaria, Honda CRF 1000L, Pirin natural park, Vihren hut by Kilian. Bookmark the permalink.